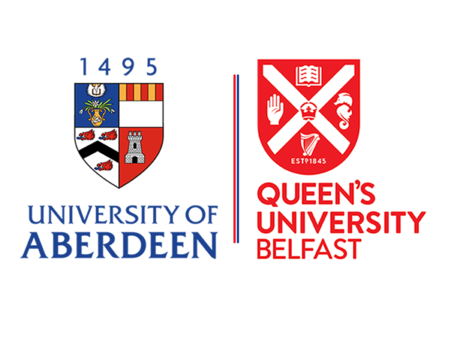 Queen's University Belfast and Aberdeen Doctoral Research and Training Partnership (QUADRAT) brings together research and teaching centres of excellence in biological sciences and geosciences from the University of Aberdeen and Queen's University Belfast to provide unique PhD opportunities. The partnership has received £5M from the Natural Environment Research Council (NERC), matched by the universities, to create 100 studentships over the next 5 years designed to equip students with the skills, outlook, purpose and holistic understanding to lead, communicate and translate innovative, multidisciplinary research that meets the challenges associated with the sustainable management of the natural environment. Applications are now open for outstanding students from the UK and EU. Project themes encompass Biodiversity, Earth Sciences and Environmental Management.